Braces, growth/habit appliances and retainers. Here at River Towne Dental, we are committed to spreading beautiful smiles to every child AND adult who enters our doors, while exceeding your expectations during the process. We offer both traditional bracket and wire braces, as well as the virtually invisible Invisalign alternative. 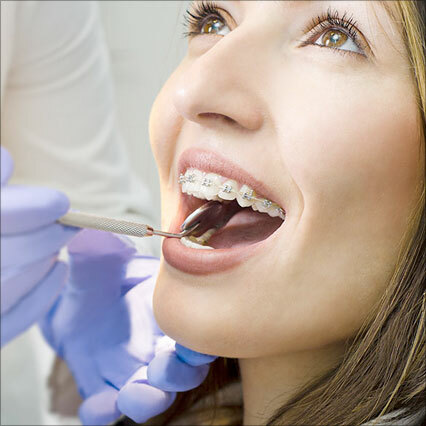 As all properly trained orthodontic providers know, a crowded or spaced teeth situation often is the result of other problems that may be less noticeable to the untrained eye. That is why at River Towne Dental, we have completed extensive training to be able to diagnose, manage, and successfully treat cases early on. By identifying problems at the correct time early intervention can be taken, often times allowing our patients to avoid the loss of permanent teeth or having to undergo future jaw surgery. And braces are not just for kids anymore! A large portion of adult concerns can now be corrected with Invisalign. This unique product allows for the moving of teeth with a series of perfectly clear retainers. This means no social concerns in front of friends or colleagues, all the while being allowed to still enjoy all of your favorite foods. Have a concern for your child or yourself? Let us prove to you why we should be your absolute #1 choice for your orthodontic care with a free consult.